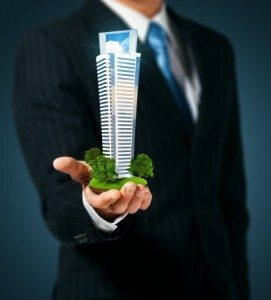 Commercial real estate deals often involve a much larger amount of money than residential deals and therefore a much larger commission in terms of dollar amount. As well, it can take several weeks to several months to complete the sale. A commercial real estate agent will not receive his or her commission until the deal is closed. But bills and expenses do not wait – they have to be paid on time. If you don’t have enough money in your bank, you may soon find yourself facing a serious cash flow problem. There is a way out of the cash crunch resulting from the late payment of your commission. There are companies in Canada that will give you an advance on your commission once your deal is firm. On the sale of a commercial property, you can apply for up to 90% of your net commission on commercial deals, and up to 95% on residential deals. One of the Lowest Rates: At AccessEasyFunds, we offer some of the lowest rates when it comes to commission advances. Our current discount rate is 75 cents per day per $100 advanced. We charge no application fees, set up fees or exit fees. There are additional fees for commercial deals. No Collateral Required: Normally, if you are in need of a large amount of money, you might be required to put up a fixed asset as collateral in order to get the money you want. This is not so with commission advances, because no additional collateral is required. Easy Application Process: You can apply for commission advance on the same day that the Agreement of Purchase and Sale is firm. Our online application form doesn’t take more than ten minutes to fill out and you can send your ID (driving license, usually) and Agreement of Purchase and Sale by fax or email. Approval usually takes less than one hour and the money will be transferred to your bank overnight or on the next business day. Commission advances are a very handy financial tool for commercial real estate agents as it can help solve a cash flow problem while waiting for a deal to close. Our advance application process is fast and easy, our rates are low and you can take out an unlimited number of advances. * Visit our website to apply today. *Subject to qualification.